As a homeowner, the exterior of your home is important, especially with the large investment of time and money spent purchasing the property. And while its “curb appeal” is impacted by many factors, pristine decks and fences are certainly important. Fences and decks not properly maintained, however, will harm property value, and when a large investment is at stake, that isn’t worth the risk. Your home is your pride and joy and should be treated as such. Cleaning your decks and fences can be a serious chore that some homeowners let slide to the back burner, allowing dirt and grime to build over the years. Pressure washing is a great option to rid yourself of embedded debris and return your property to a clean, attractive state. Isn’t it high time to remove all the accumulated filth from those hard-to-clean surfaces and return your home to beautiful condition? Let’s explore how and why pressure washing is the perfect cleaning solution for your fences and decks. What Is Fence And Deck Pressure Washing? Fence and deck pressure washing utilizes high-powered water sprays to remove grime, dirt, and tough stains. It easily removes debris from various surfaces like concrete, wood, and vinyl. In fact, its high-speed water pressure can blast through even set-in stains. These jet sprays are perfect for exterior cleaning, and they usually don’t need any specialized cleaners to get the tough job done. To put it simply, pressure washing provides not only a budget-friendly clean, but also serves as a preventative measure in maintaining your property’s curb appeal. Do you really need to pressure wash your fences and decks when you could just scrub away the dirt yourself? Well, that depends. If the area that needs cleaning is relatively small and isn’t thoroughly stained, then you might be able to take care of it on your own. If it’s sitting under a lot of grime, on the other hand, scrubbing might not do the trick. Scrubbing alone isn’t always the best option, nor is it the fastest. In fact, it can be painful and lead to aches, pains, and even injury to your knees, lower back, and wrists. In contrast, a pressure wash can often get rid of caked-on debris and stains in mere minutes, leaving behind a squeaky-clean surface. And you might be surprised at how thorough those water jets can be in finding dirt that you couldn’t even see! Decks and fences have a lot of nooks and crannies that can become lodged with grime and attempting to clean each and every one of them by hand would be nearly impossible. A spray here and there is all you need to keep your home looking good and wash the debris away. A good tip to follow when pressure washing is to schedule routine cleaning, too, as this will save you time and money in the long run. Why Should I Pressure Wash My Decks? There are many benefits to using a pressure washer to clean decks. Harmful bacteria can lurk in the crevices of deck boards, but the high-powered wash keeps them at bay. And because pressure washing takes significantly less time and physical effort than hand-scrubbing the entirety of your deck, back-breaking work is no longer part of the process. You can spend your free time doing something that interests you instead of staring at dirtied wood. Pressure washing is also an important step to take when it comes the preservation of your deck. 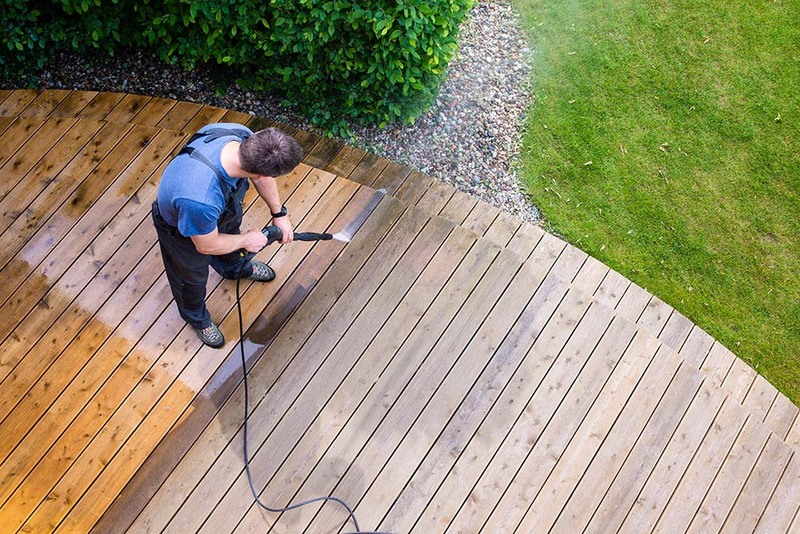 The occasional pressure wash will help prolong the life of the wood, even if it is already pretreated. 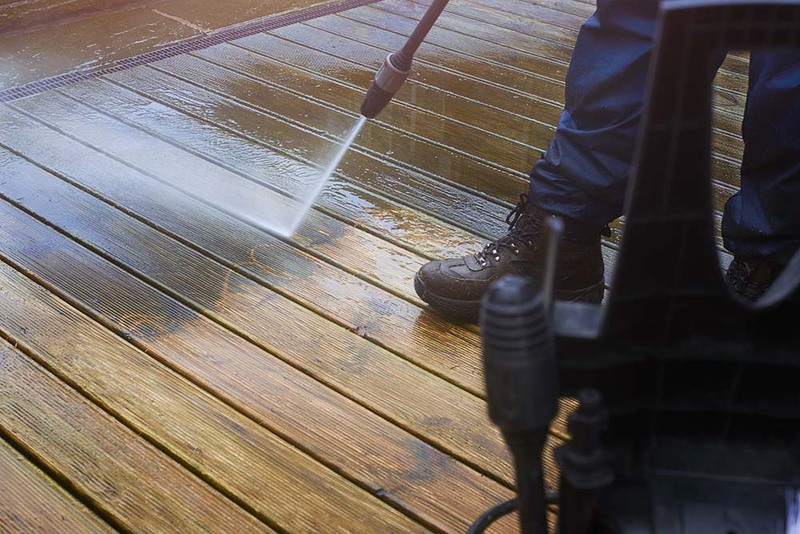 If the deck boards are not treated, then you should consider pressure washing more often. Why Should I Pressure Wash My Fence? Fences tend to be a “set and forget it” item. It’s something that serves a practical purpose, in other words, but not one that many people pay much attention as long as it’s functioning well. It’s important to note, however, that they do require maintenance. Fences become dingy and dirty over the years just like anything else exposed to the elements. The dirt and grime, such as mildew and other biological contaminants, can wreak havoc on fencing if left unattended. Just like it does with decks, pressure washing can seriously help the appearance and longevity of your fencing. 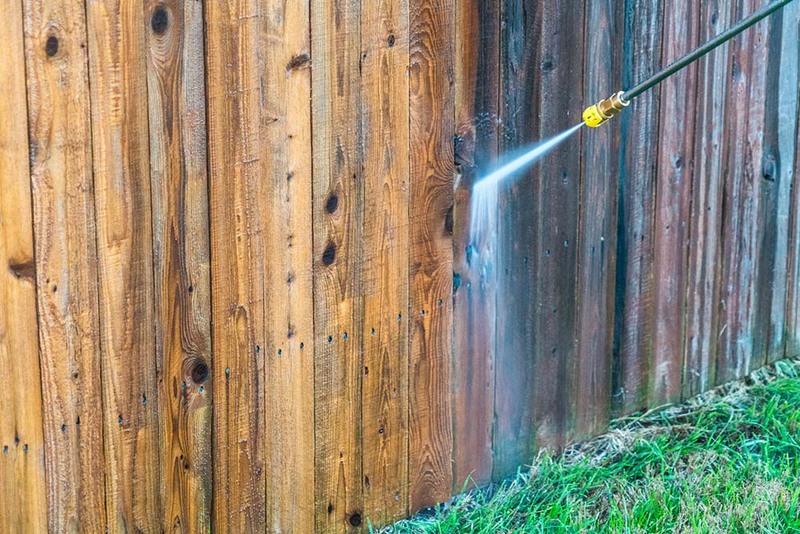 Washing away contaminants that can actively break down its surface, particularly if the fence is wood, is an excellent way to help prolong the overall life of your investment. That means that you can choose a quality fencing option with the assurance that properly maintaining it, including a routine pressure wash, will keep it looking great for decades to come. Whether you are pressure washing a deck or a fence, the outcome is the same: a clean slate at an affordable price. Pressure washing is an ideal solution to home maintenance, especially when paired with busy lives and little free time. Not only does it take less effort than hand-cleaning does, but also pressure washing is also easier on your body – and, potentially, your wallet. Decks and fences should be pressure washed at least once a year if you want to keep a proper maintenance schedule. 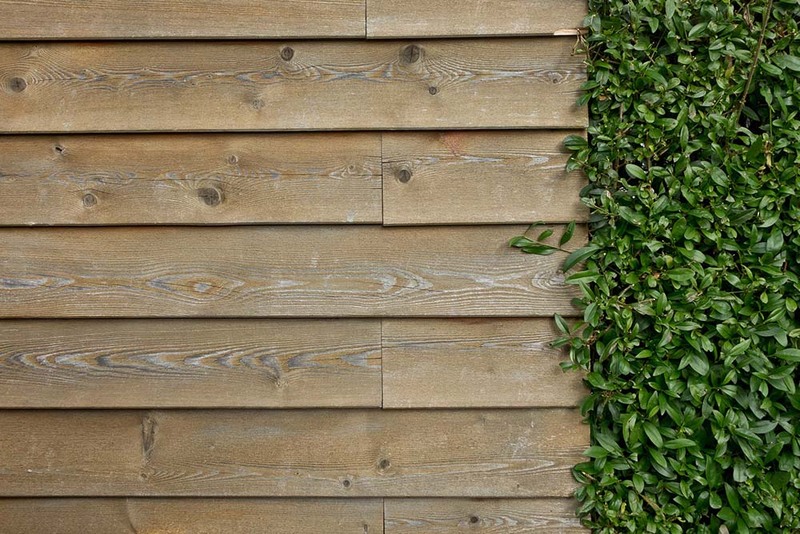 Don’t let debris build up over the years and destroy not only the deck or fence itself, but also deal a blow to your property value via curb appeal at the same time. Are you ready to get started? 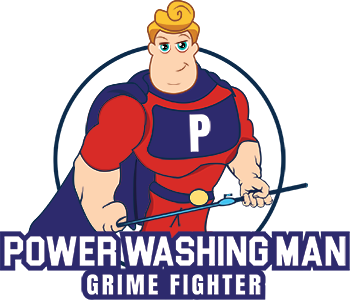 The Power Washing Man can help! We have experience with even the toughest of cases. Our skills have been proven via our certification, and we’re trusted by homeowners around Beaufort, Port Royal, and Ladys Island in many different aspects of their home and property maintenance. We understand the importance of working on a budget while providing excellent work, in other words, and we’re ready to help. Our professionals will treat your home like their own. Give us a call today and see for yourself with a free estimate. We also offer a military discount – don’t hesitate to ask us for more details.